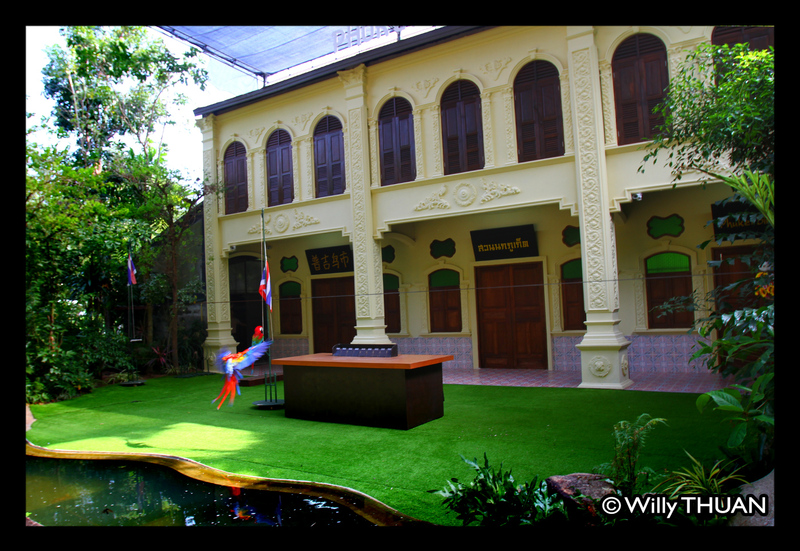 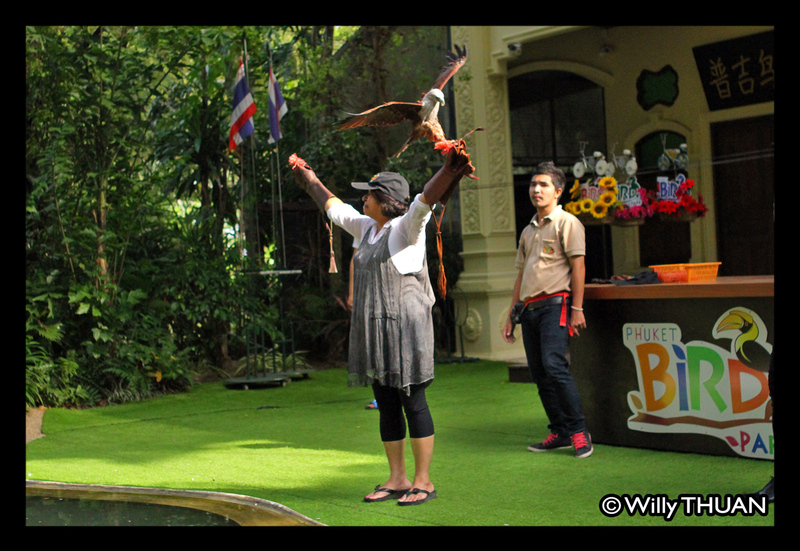 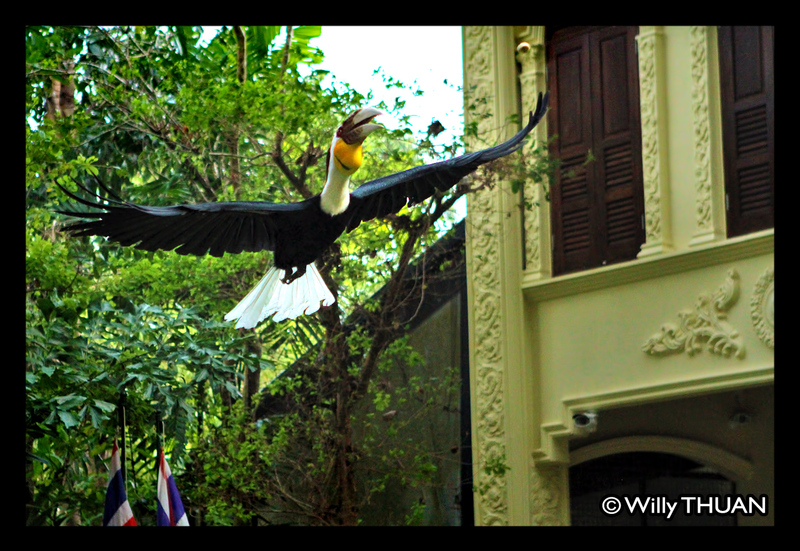 Phuket Bird Park is a recent addition to the growing list of attractions in Phuket. What you absolutely need to know is that there are actually two bird parks selling a show at the same 500 baht rates and in the same area near Wat Chalong. 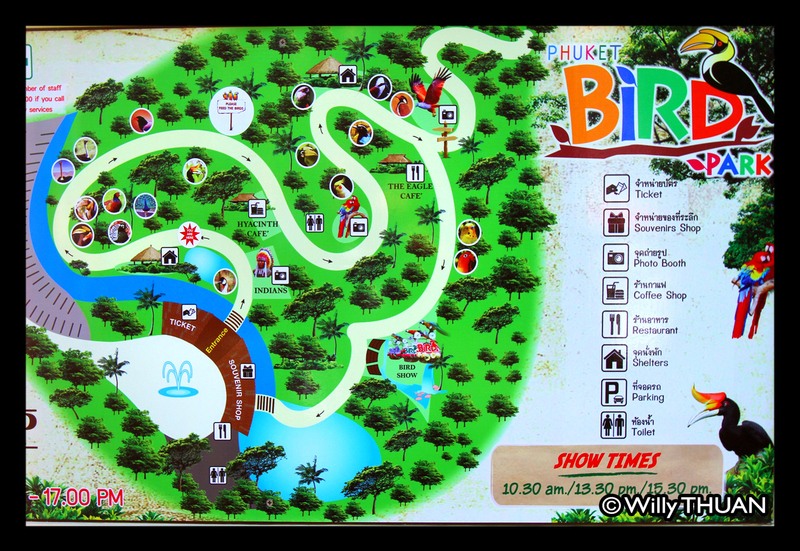 The original Phuket Bird Park is a lot larger (12 acres) than the other small one called Phuket Bird Paradise, so make sure you know which one you are planning to visit. 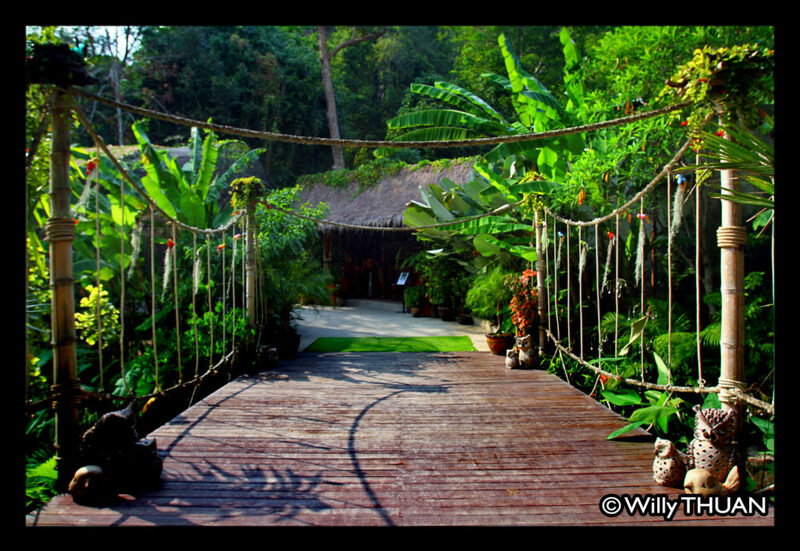 Phuket Bird Park welcomes you with a large entrance gate opening on a green jungle and an Indiana Jones looking bridge setting the mood for the visit. 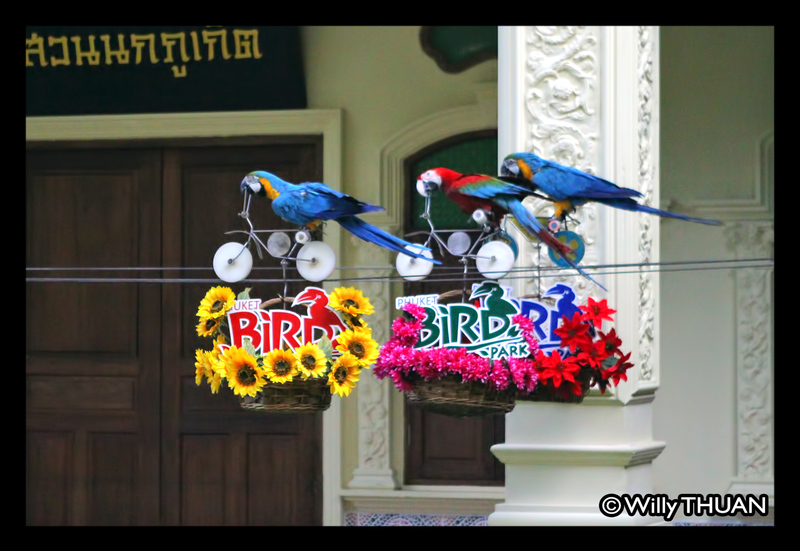 This vast, very green and well designed park features, as advertised, 80 species and 1,000 birds kept in cages of various sized disseminated along the steep way leading to the main theatre. Some cages are really large but some other are surprisingly small, reminding us that a bird park is nothing more than a zoo with birds. 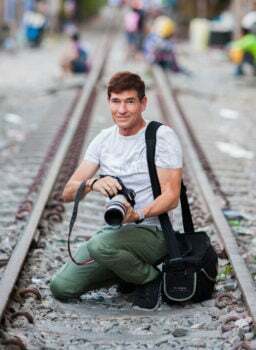 On the way up, several ‘photo spots’ are set to encourage you (and mostly your kids) to have your portrait taken with birds (Hornbills, macaws, eagles, barn owls) or American Indians (don’t ask me). 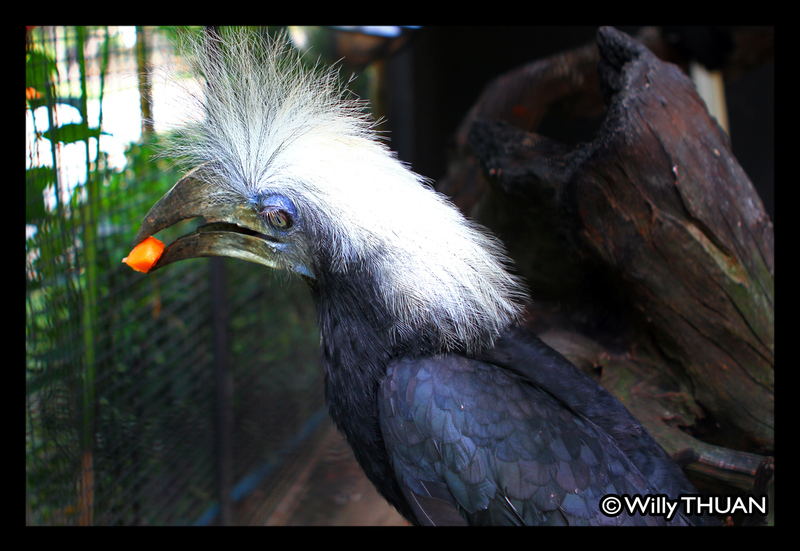 Kids seem to love the park and its birds from various origins: Asia, Africa and South America, including ostriches, peacocks, great hornbills, wreathed hornbills and some prehistoric and scary looking ones. 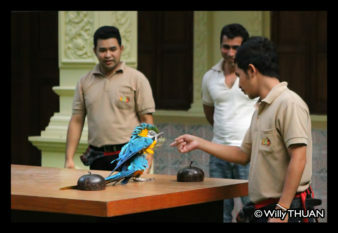 The most popular are the the white cockatoos and other colourful parrots: Malay Lorikeet, the very green Wax-Billed Parrots and the ever popular Macaw.At the top of the hill is the bird show, set in a very large amphitheater with a beautiful Phuket house of Sino Portuguese style as a backdrop. 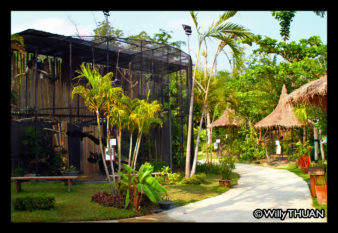 Note that being surrounded by walls and covered with a large net to stop birds from escaping, the place is rather hot and humid. The show starts with the usual over-grand and dramatic (and loud) music and a MC introduces each act and each bird by its nickname, but nothing will be said about the nature of the bird. 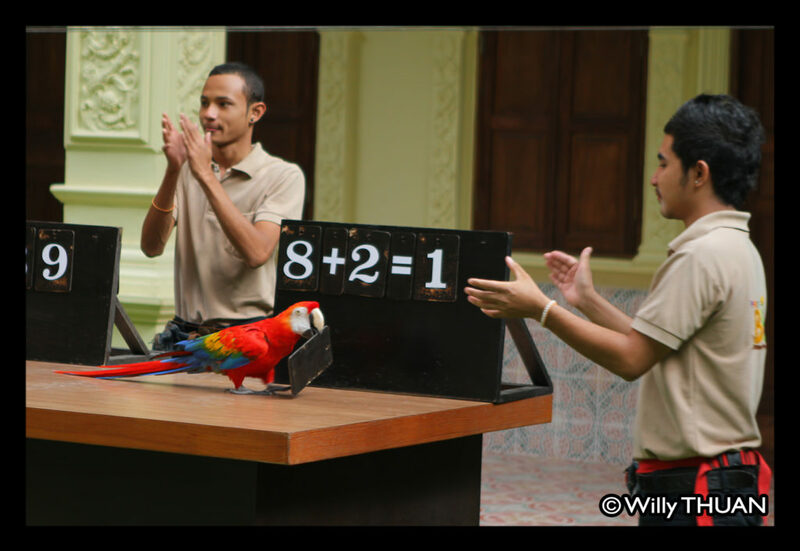 Birds will perform surprisingly well the tricks they have been trained to execute. 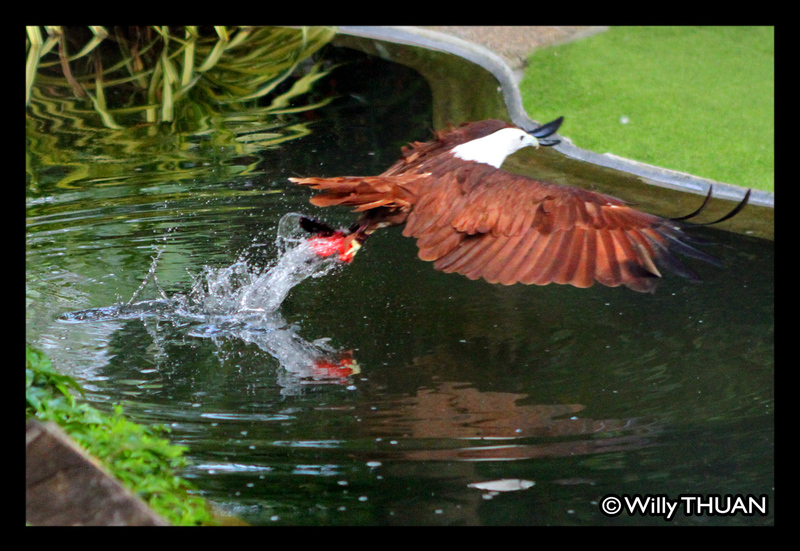 Eagles, Owls and Hornbills majestically fly across the theatre to grab an object placed in the hand or the head of a volunteer. 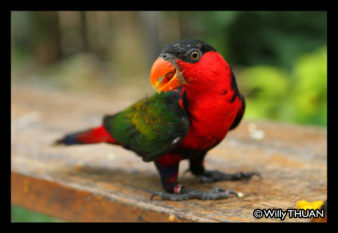 The parrots are the clowns of the show: riding bicycles, collecting empty beer cans to carry them into a bin, do some accounting and occasionally play dead. 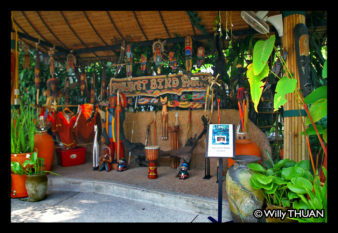 Three otters are brought on stage to perform some dance.Once show is over you can walk back and stop at the ‘walk in cage’ to admire few more colourful parrots, then move on the the coffee shop or the unavoidable souvenir shop. As mentioned earlier, Phuket Bird Park is place to watch animals kept in cages or performing tricks for human entertainment, and while all seem to be very well treated and well looked after, it is for you to decide if you want to visit it or not.